Hello! Time flies huh… Chinese New Year is coming soon. In less than 3 weeks we will be busy visiting friends and relatives houses or so called “Pai Nien”. So have you planed what to wear? Well there are many Do’s and Don’ts during Chinese New Year because we believe that anything auspicious will being luck, peace and prosperity. Same goes to what we wear especially on the first day, today I am going to share about Wardrobe Essentials for Chinese New Year 2016. Yes! of course red is everywhere during Chinese New Year. It’s the auspicious color that symbolizes luck, energy, prosperity and happiness. So wear something red, you don’t have to wear red from top to bottom; mix and match is good. Try to avoid wearing all black. Well to add to the festive mood I think Cheng Sam is superbly ladylike and oriental. I am sure it will make a lot more significant to the Chinese New Year photos. I spotted this Elegant Red Flower Print Midi Cheong Sam at Ensogo in pink and red flowers with more than 50% discounts. 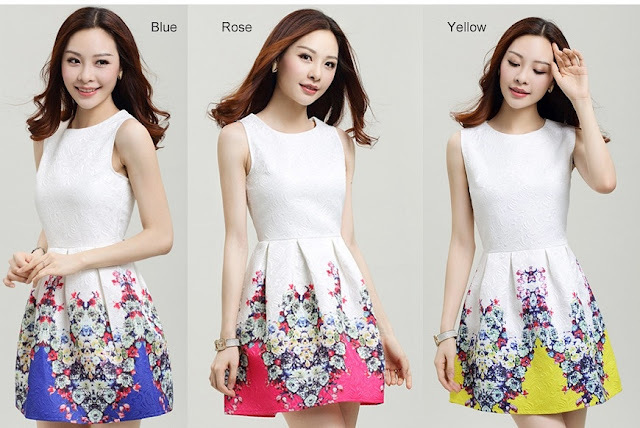 It’s so spring with the right color combination, feminine and not to overpowering. We have to buy shoes before the festive because it’s bad luck to buy shoes during Chinese New Year. The word shoe in Cantonese means rough so or evil in Mandarin so avoid it. Anyway to match our new outfit definitely new shoes is a must. Why not but it earlier? This pair of CNY Mood New Design Ethnic Fashion Shoes is not the usual one that we wear everyday but it quite statement piece. If you are wearing a simple dress you this pair of shoes will be the center of attraction. I like it because it not too high and looks comfy to walk in especially we will be out the whole day during festive season. This is a seasonal pair of shoes, if you miss it I’m not sure when it’s going to come back. The price is affordable and the workmanship is pretty good too. Oh this ethnic design shoe is available in red, blue and black, perfect match with cheongsam even casual wear with jeans or sundress. This is essential not only for Chinese New Year but for our daily wear to work as well. I like the simplicity and versatility of this white dress with flowers on the bottom. It’s available in blue, rose and yellow. I think I can wear this spring dress to many occasions and also to work. Ensogo is Southeast Asia premier online shopping destination, featuring an exclusive selection of products, services and travel offers at the most competitive prices available. nice dresses to shop! 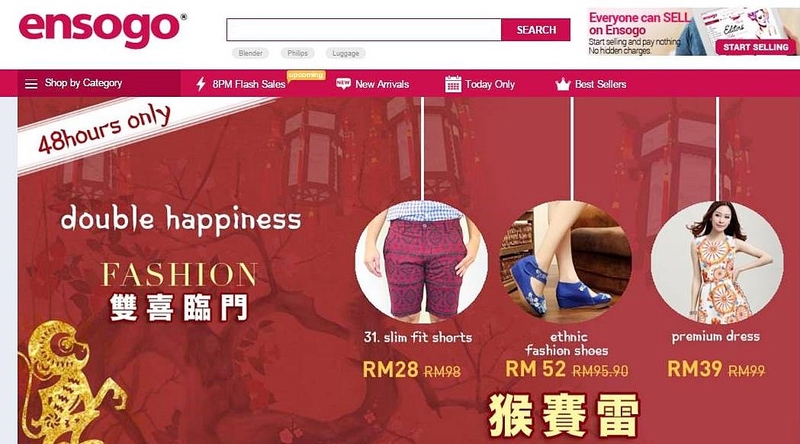 CNY soon just nice to start shopping, love online shopping easy and no need find parking. The dresses are so nice! Have to start my CNY shopping soon! So excited! The shoes are so pretty! Btw I actually have that Spring dress in that exact color! the dress is simple but nice! suitable for Chinese new years! i haven't done my CNY shopping yet.. ><"
CNY is so close! This reminds me I need to do some compulsory shopping. I just bought mine from Tesco lolx... 50% discount... Okla... Ensogo seems cheaper though but am afraid because i've heard alot of complaints for ensogo in the past. Now phobia with shopping online. Better try first to be safe.